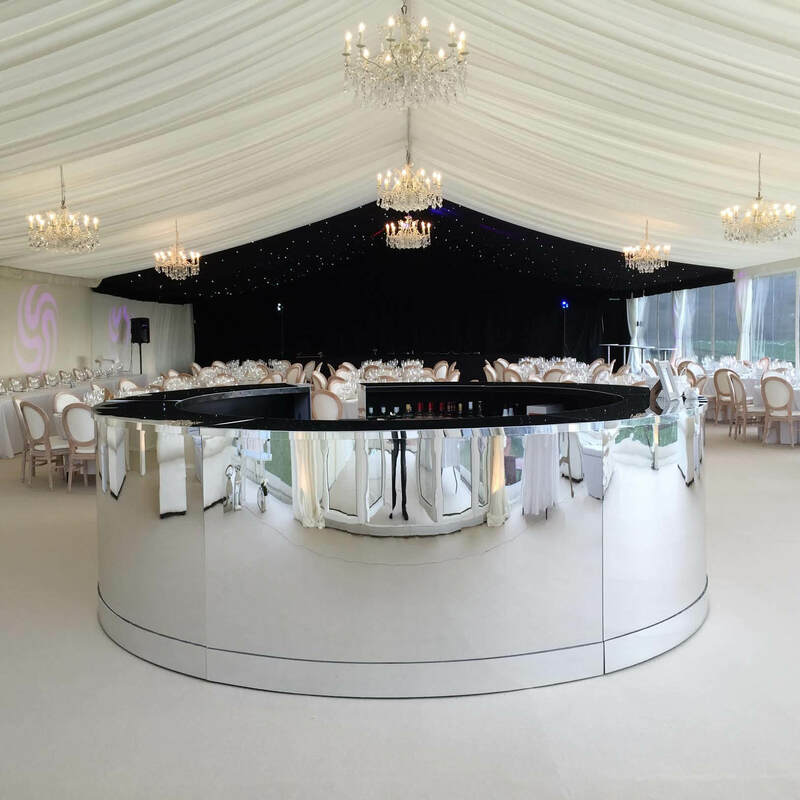 For that “Happy Ever After” wedding party, or to celebrate the birthday of a princess, a fairytale themed marquee is a superb choice and simple to achieve. 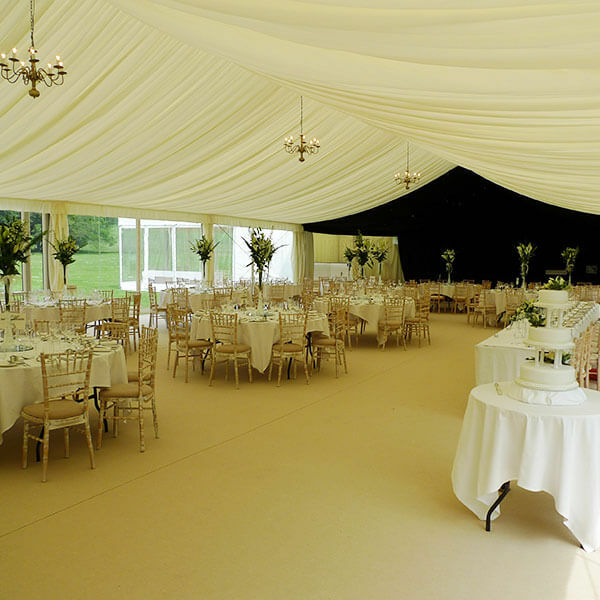 Read further for top tips on turning your marquee into a fairytale kingdom fit for the prince or princess inside all of us. 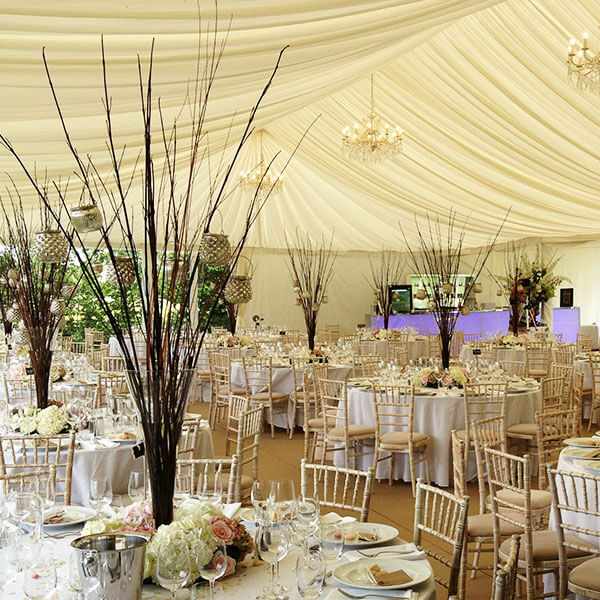 The drapery colours you chose to decorate your marquee will set the tone and style of your theme. 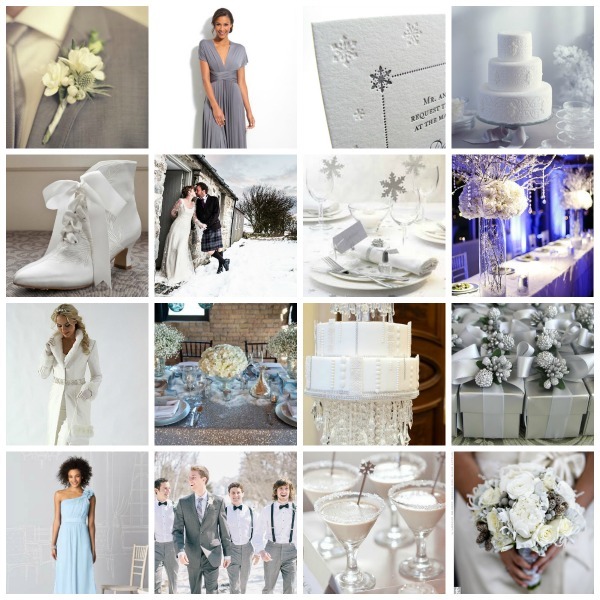 Fairytales come in many different colours depending on the ambience you want to create – pink and purple for a child’s party, turquoise and blue for a more grown-up and luxurious style or white and silver for a princess fairy-tale wedding. Hang alternate coloured lengths of drapes, or smaller ribbons, from the centre of the roof to the walls. Continue with drapes running down the sides of the tent. For a more sophisticated look, hang your wall drapes at an angle by securing them at the base and let them criss-cross each other. 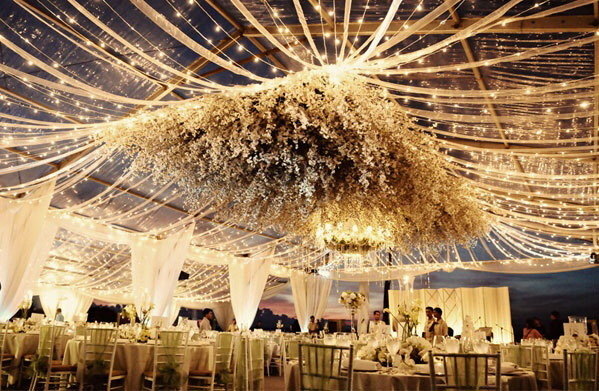 Fill the roof of your fairytale castle with strings of fairy lighting and hang it around the marquee walls to look like star-dust. Put glass jars, or lanterns, along your tables and wind lighting around the support poles. 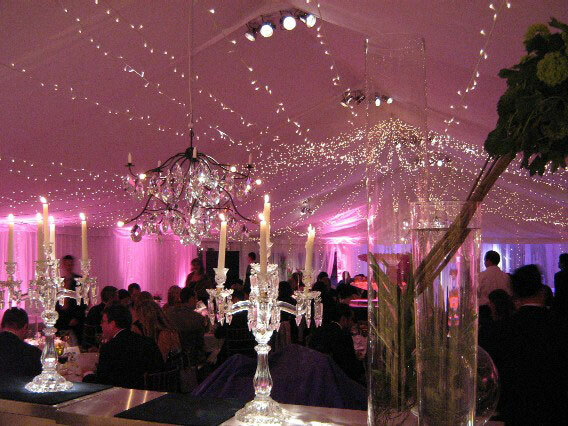 Whichever way you do it – fairytale lighting needs lots of lights. For added magic why not use coloured lighting or lighting that flashes. Table centre-pieces can be made from white painted twigs and small branches, from which you can hang strings of beads and ribbons to match your chosen colour scheme. You can also hang small lanterns from the branches. Make table menus and seating labels with mottled paper and words written in flowing writing. 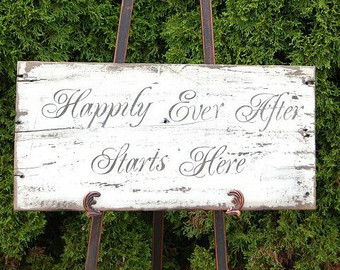 Add drama by using phrases from your favourite fairy-tales such as “Once upon a time” and “Happily ever after”. Fill small cardboard carriage shaped boxes with sweets and trinkets for your guests. Add a treasure chest or two filled with chocolate money and chocolate eggs from the golden goose. 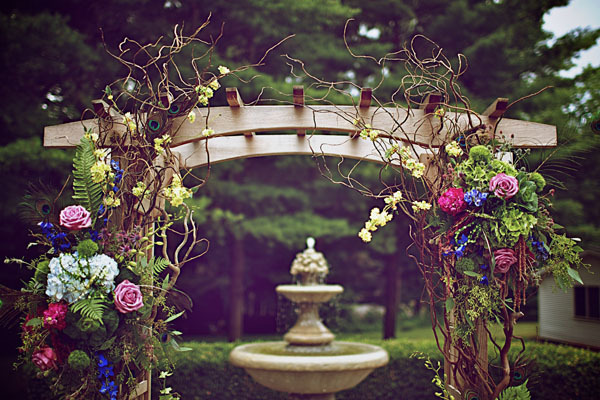 Create a photo-booth area out of an arch with towering turrets and decorate it with painted vines, butterflies or rainbows. Have a selection of hats, crowns, tiaras and masks for your guests to wear for their photographs. Provide a relaxing seating area with multi-coloured cushions to laze upon and decorated thrones.